Author Interview Initiation: You Want to Know WHAT? I suppose it was inevitable, having written Starting With Goodbye: A Daughter’s Memoir of Love after Loss (University of Nevada Press), about the experience of grieving my father, that a reporter, interviewing me a month before publication, would ask: What would your father think of this book? Putting aside the almost comical and certainly logistical impossibility (if he were still here to read it, the book would not exist), I was shocked at my own reaction to this question. It felt not interesting and logical, but like a sharp intrusion on what, up to that point, had seemed something like a private club. A club with two members: Dad and me. We had been meeting in secret for the seven years I was writing the book—at my writing table in the mornings, at the dining room table late into the night, sometimes in my car or hotel room while traveling. Since I was talking to a dead person all that time, a post-life father known only to me, almost everything about writing the book felt private. But that was before. Now the book was about to be published, and the private club days were over. It’s a bit ridiculous that “What would Dad think?” would be the question to bother me, since the point of the book involved my learning more about my father after his death, wanting to discover for myself what he might have been thinking all those years before. Ridiculous too that I hadn’t anticipated that people who never knew Dad—and don’t know me—would ask questions, would want to know more and expect that I answer. Hadn’t I, after all, written a highly personal book? Why wouldn’t I welcome them? This interviewer’s question was the first of many as the pre–book launch activity heated up. It surprised me—someone who thinks of herself as being able to talk about anything—that so many questions felt too personal. That curtain I’d once envisioned, separating me, the writer, from book’s narrator, was crumbling, if it had ever existed. I’d written about something personal, the private act of grief, and now I had to speak publicly about that. I replied, of course. The question answered, the interviewer moved on. I began to think more about the differences between the private act of writing and the exposure of publication, particularly in the transition between the two. That first interview, occurring for me as a first-time author at the age of 58 with a memoir about private family moments, helped me understand that those seven years, the wonderful and wretched incubation period that had helped me navigate a road from frustrated to fulfilled, was over. Though I’d published hundreds of articles and personal—some very personal—essays, a book is a different creative animal. Its discoverability in the marketplace is the line separating a writer nursing a manuscript from the author named on the cover. Something that began as a tender draft, that I’d nurtured and protected, kept safe from the slings of rejection and harsh opinions, had now matured and was making its way into the world. Who knew if it would fly? But what I did know was that what once felt so private was now so—available. I had been preparing all along for possible challenges, ripple storms that might erupt, but only from within my close circle of family and friends mentioned in the book. In various ways, I had addressed my concerns—sometimes by consulting the person in question, sometimes not—and resolved what I could on the page. I didn’t know if the questions I worried about would eventually materialize. I didn’t know if someone, or a cast of dozens, would let me know they were displeased with some part of the book. I liked to believe I was ready for that. I even thought I knew what I could say or how I might react, so that I could honor both their opinion and my right to write. I also knew I could be wrong about this. Questions from outsiders without any connection to the book, however, were, something entirely new. Yet I’d interviewed dozens of authors myself over the years—for my own blog, for other websites, and for various publications. I knew this was part of the book PR drill. So why wasn’t I ready for it? I know the answer to this, or at least part of it: to write a memoir and have it be compelling, to ensure that it is story as well as rumination, and that it become a work of art worth reading, one cannot write while also worrying about what anyone else might think. Keeping the nagging concerns of what others may say out of one’s mind is the writer’s job all through the many drafts, revisions, rewrites. 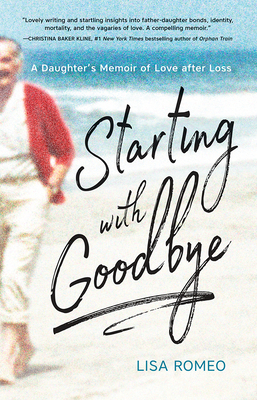 This is not to say I never thought of the reader when writing Starting with Goodbye. Of course I did; you must, in ways that will improve the work. A writer also wonders what reviewers will say. You imagine the worst, or you imagine the best, depending on your nature, I suppose. 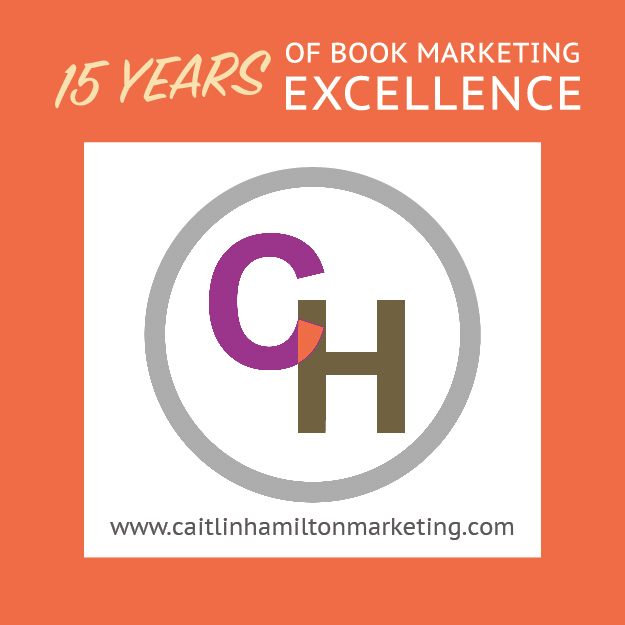 You imagine, if you’re lucky enough to be interviewed—or at least I imagined—being asked to expound on things like inspiration and motivation, about why I wrote the book or what I hoped people will get out of it. I figured I would probably be asked about my writing routine or process, whether I write on the computer or in notebooks, who my favorite authors are. And I am getting asked all of those things. Yet not once did I think about what I’d rather not be asked, what I’d consider intrusive. (Oh wait, not true: I dread, “What is your next book going to be about?”) I did not consider that a memoir author in particular gets asked things that grow out of what she’s embedded deeply in the book itself, issues that don’t always make for comfortable Q&A. But as it turns out, when you write a personal memoir, you get personal questions. An author is the face of the book, its key spokesperson, typically the only person who can answer them. While sharp PR folks will prep authors, actually engaging with those questions and formulating appropriate answers is the author’s job. My job. The question, “What would your father think of this book?” really isn’t highly personal. It only felt that way at the time because I was so unprepared for it. Since then there have been more truly personal queries: Do you feel guilty that you didn’t grieve as much for your mother as you did for your father? Do you think your dead father has forgiven you for the unkind ways you sometimes treated him in life? Why did you reveal that your mother was pregnant when they got married? So, I gulp. Then I answer the question. As a newly anointed author, I’m a bit giddy that the interviews are accumulating and will soon be appearing in print and on screen, hopefully drawing readers to my book. This is, after all, what I wanted. Yet, as a lifelong writer of shorter pieces making my author debut in my 50s, my brain prickles with a shifting, unrecognizable discomfort, nearly imperceptible but present: so this is what happens when your name moves from byline to book cover. Books do mark a career shift, pushing writers into authorship—and with that movement comes the obligation, or perhaps the informed and vulnerable choice, to field those pesky, probing questions. A book changes things. An author will be called upon, and must learn, to speak on behalf of both her book and her self. Answering questions about the book, I am discovering, calls for more than information. It demands care and careful nuance, an open-hearted attitude and—something that perhaps comes from reaching debut authorship just past the half-century mark—the sure knowledge that I’ve got the chops now to field whatever’s tossed my way. I find it useful to remind myself that I’ve been hugely forthcoming in the memoir. Why not be equally forthcoming off the page? Remembering that, learning to answer as the author of this book—who indeed knows the answers to whatever anyone can come up with, and who is willing to open up membership to that once-secret club—is turning into a gratifying extension of writing it. Lisa Romeo is the author of Starting with Goodbye: A Daughter’s Memoir of Love after Loss (University of Nevada Press, May 2018). Tags: Lisa Romeo, Starting With Goodbye, University of Nevada Press. Bookmark the permalink. It’s a fascinating thing putting yourself and your personal story out into the world. Especially such a personal story. Once your book is born, it takes on a life of its own. That is both wonderful and a little scary. It sounds like you’re going to be just fine. Congratulations on the book, well done. Thank you, Margot. You’re right – we have to release the book (and in some ways, the rest of the story! ), to the world. And hope for the best!